The general process for finding a rental is as follows: Make an appointment with a real estate agency.Find possible rentals.Actually view the rentals and sign a rental contract when you find a place you like.Move in. The process may take 1–2 weeks or several months to complete. You may not be able to immediately move in to some places, so be sure to check possible moving dates prior to concluding the contract. 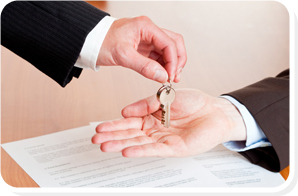 A real estate agency acts as an intermediary between you and the real estate owner when looking for a rental. It tells you about properties which meet your budget and needs, and serves as the contact point when entering into a rental contract. 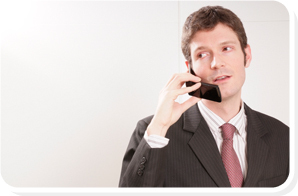 First, make an appointment with a real estate agency by email or phone. When you do, inform the agency of the date you wish to move in, your budget, and your needs so they can search for a suitable place at the outset and make the process smoother. If you don’t have confidence in your Japanese language abilities, then search for “Real Estate Agencies with Foreign-language Services” from the SUUMO contents below. A real estate agency handles information on a variety of rental properties. Tell the agency about your needs, including your budget, preffered area, floor plan, and amount of space required, and they will select several properties that suit your needs from their large database. Though you may not find the exact property for which you are looking, at this stage it is important to precisely and fully communicate your preferences. If you find a place you like, then actually go to the building or rental property. Look at several that seem appropriate and narrow your choices from there. Incidentally, you may be surprised at the high rental prices in the city center, but be aware that obtaining a rent lower than what was advertised is fundamentally difficult in Japan. When you’ve finally found what you want, then you will sign a contract. In Japan, in addition to the rent, initial fees include a security deposit and key money (details are found on the following page), so you will need a sizeable sum of money at first. Also, in the majority of cases you will need a Japanese guarantor to co-sign when signing the contract. When the person who signs the contract is unable to pay the rent due to reasons such as illness or unemployment, the guarantor must pay in his or her stead. Talk with the real estate agency if there is no one you can ask to co-sign. You may be able to contract with an agency that will serve as guarantor. Carefully check the contract when signing. You should be aware of all restrictions placed on each property, such as rules against pets, more than two persons residing in a property, musical instruments, etc. If you are not confident in your Japanese language abilities, then it is best to have a Japanese acquaintance accompany you if possible to prevent any later problems. When the contract has been completed, get in touch with a moving company and prepare to move in, and contact the real estate agency after the moving date has been set. Generally, services such as electricity, gas, water, and telephone are initially disconnected in properties. 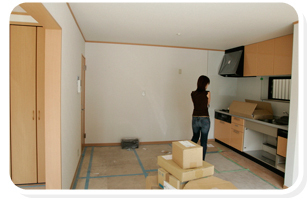 When moving in, the first priority is to call the utility companies to get them connected (by the way, electricity, gas, and water are all provided for a fee in Japan). Then, go to the city office and submit a change of address. Also, be sure to carefully check which days trash is collected and the rules for separating trash, which differ according to area. Not abiding by rules causes trouble. Introducing yourself to the maintenance staff or owner when they live nearby is an important custom to observe. If possible, you should bring a gift to make a favorable impression and pave the way for asking them for help if problems arise.